How do you throw together a great salad? Start with one or more of the following…..
add whatever else suits your fancy and there you have it! 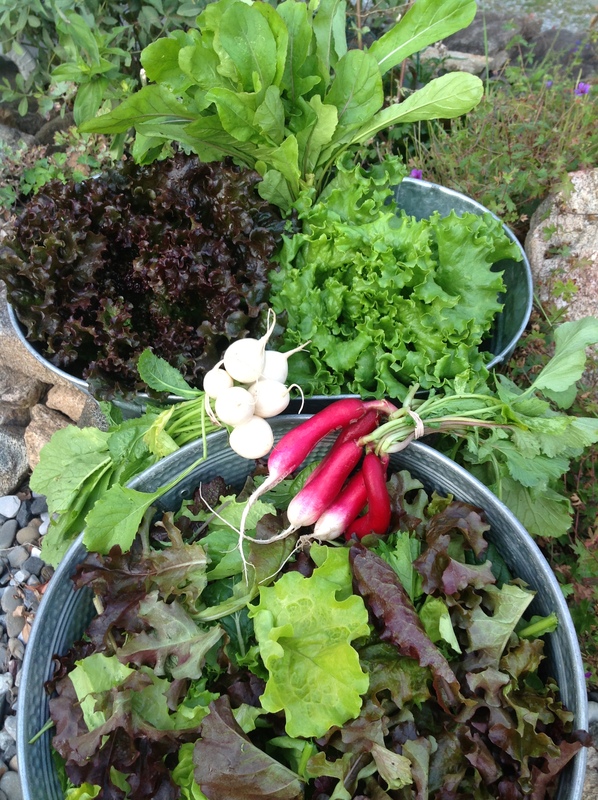 The salad greens are in full glory now with this spectacular growing weather we’ve been having. They really couldn’t look or taste any better. A long winter of supermarket salads lay ahead of us, so take advantage of these marvelous greens while you can.